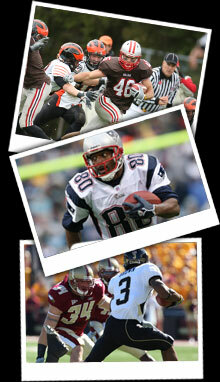 Welcome to the official “Gridiron Club of Greater Boston” website. We have been Keepers of the Flame of Boston sporting tradition for over 75 years. Founded in 1932, the Gridiron Club promotes the game of football at all levels and nurtures the ideals of citizenship, sportsmanship, leadership, and athletic and academic achievement. Through its annual dinners and golf tournament, the club carries on its tradition of honoring exemplary players, coaches and officials at all levels of sport.